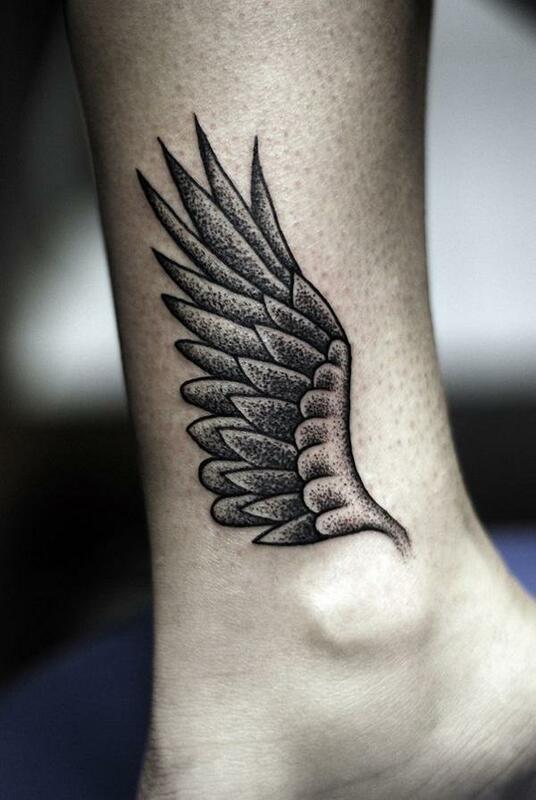 Despite of the fact that humans are ground-based animals, ancient people never stopped dreaming of flying like birds. 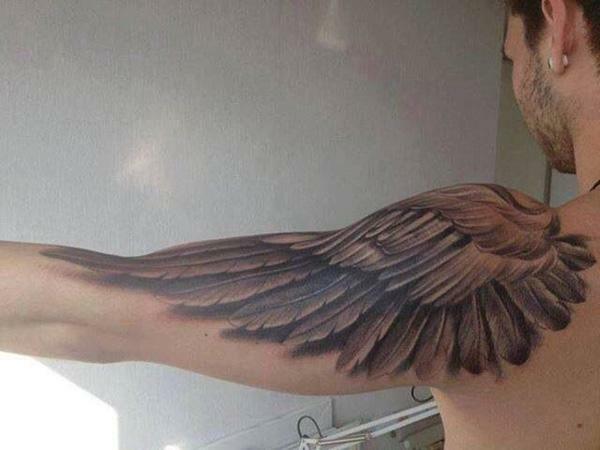 Human with wings therefore appeared in the religions, legends and folklore of many places in the world. 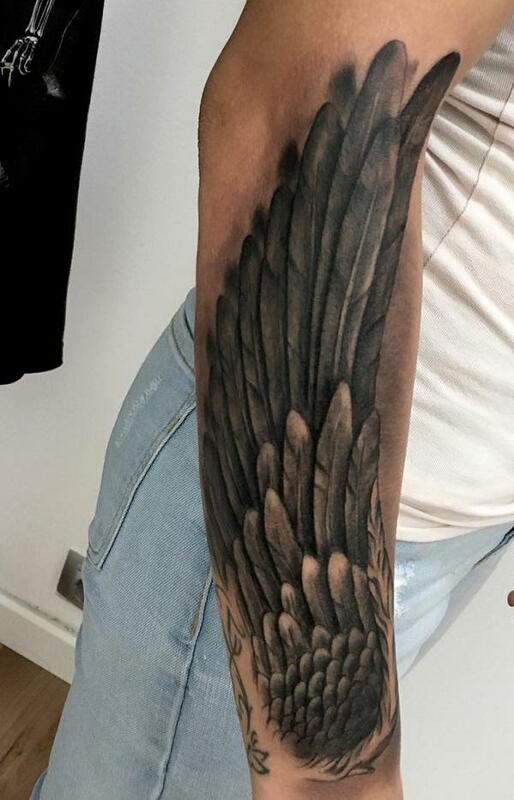 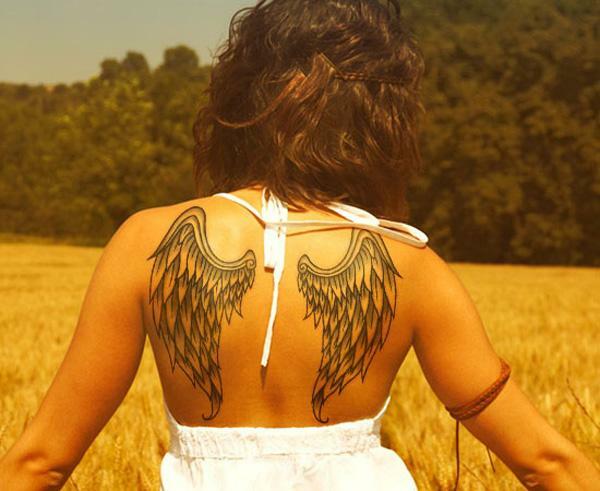 There are many symbolic meanings associated with the wings. 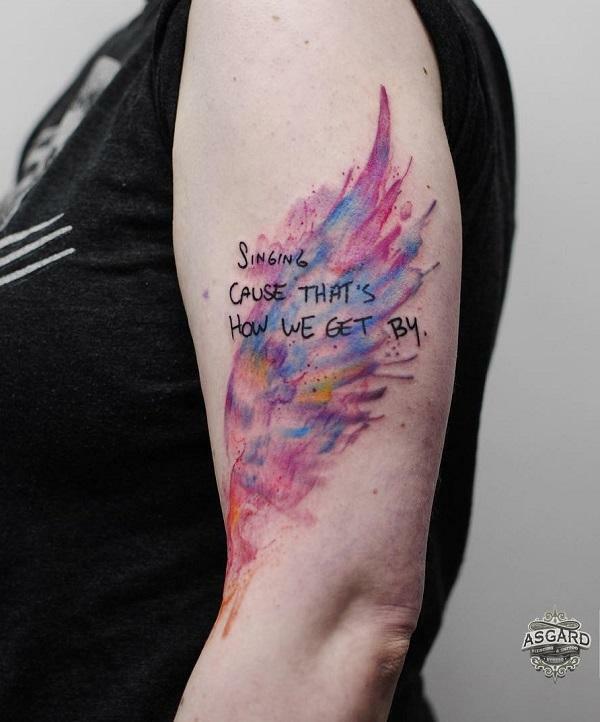 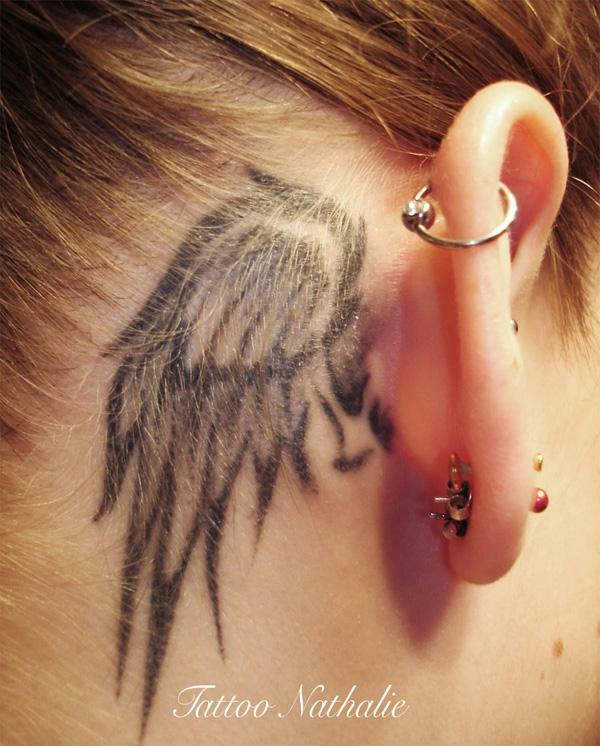 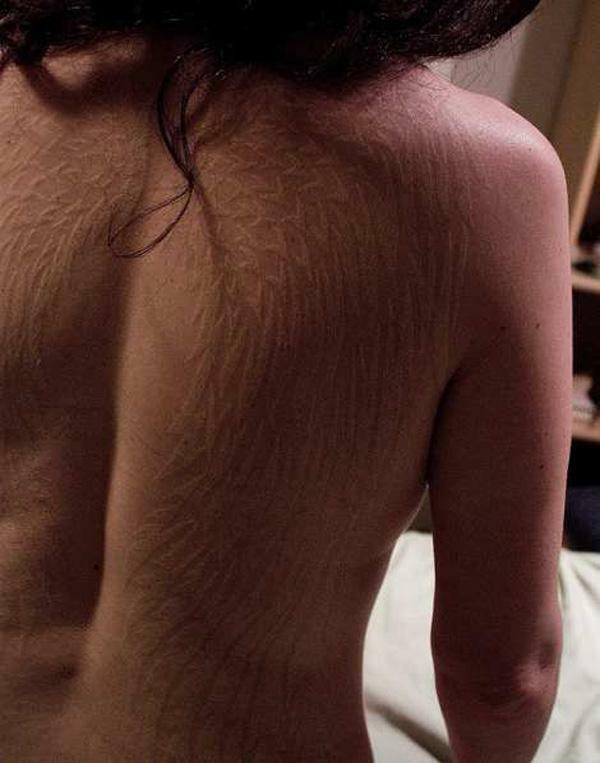 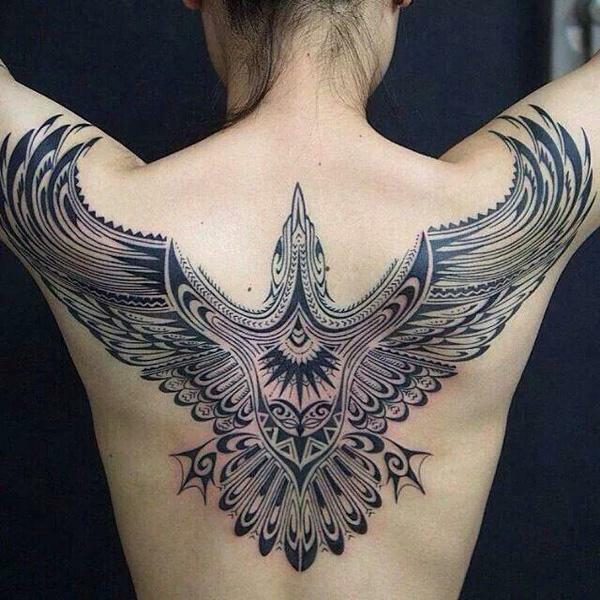 That’s why wings Tattoos are getting popular, especially for women. 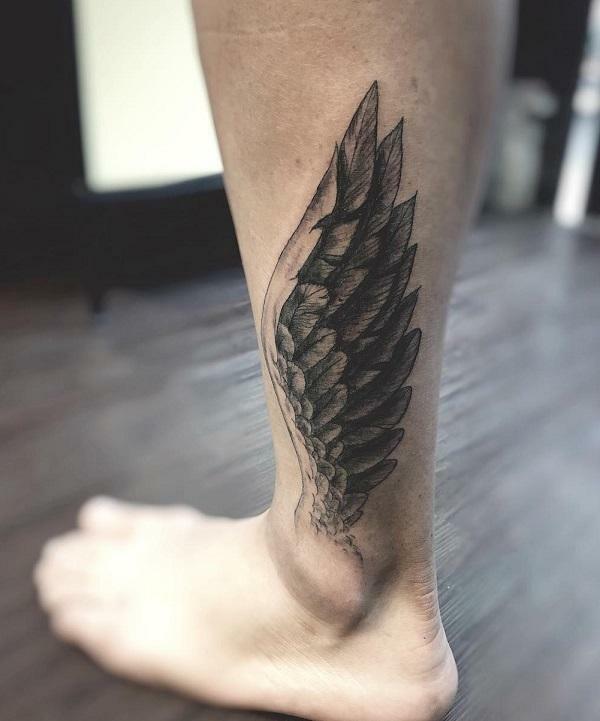 In Greek and Roman mythology, Hermes, aka Mercury is a god wearing winged shoes (talaria) and a winged hat (petasos) to transit quickly and freely between the worlds of the mortal and divine. 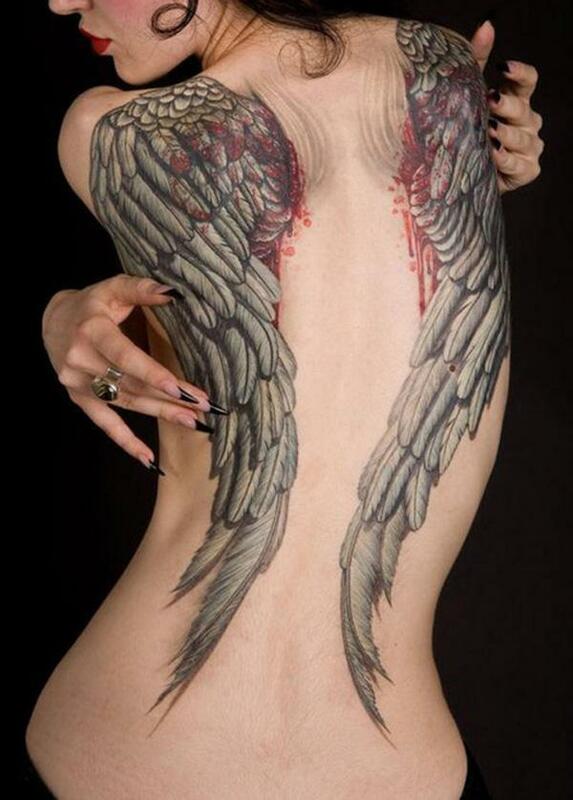 Angels are always depicted as humans with wings and considered to be messengers of God. 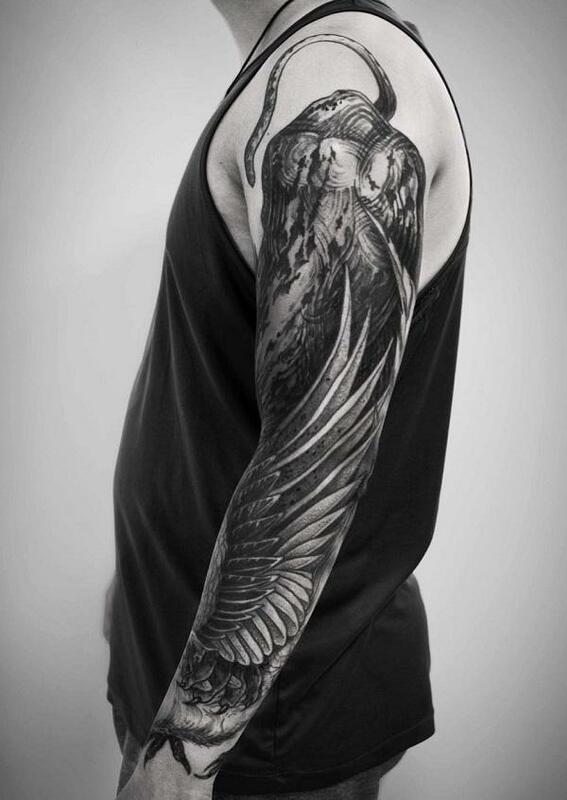 It is one of popular tattoo ideas to express the love of God and belief of Christianity. 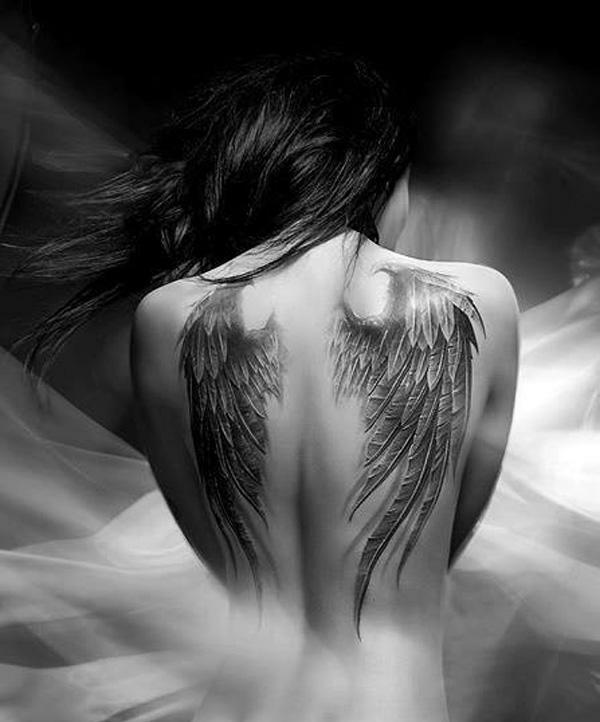 A guardian angel is an angel assigned to protect and guide a particular person, group, kingdom, or country. 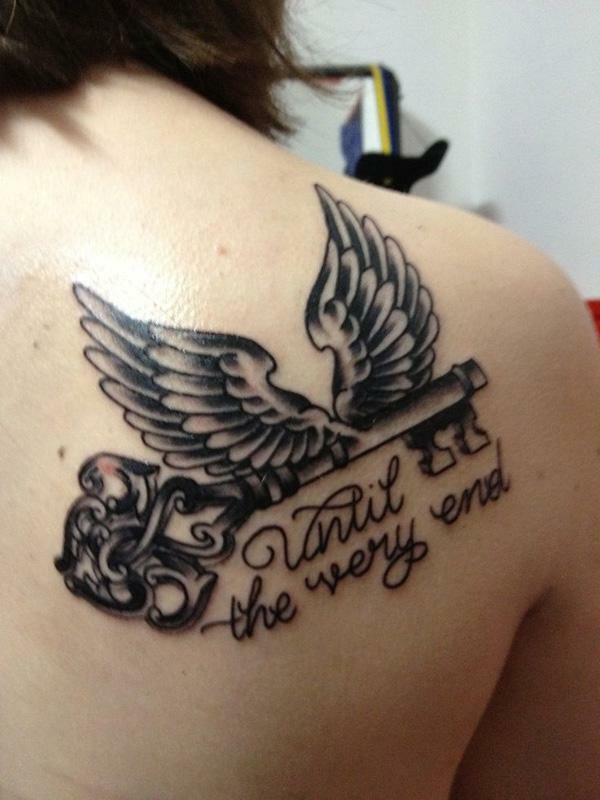 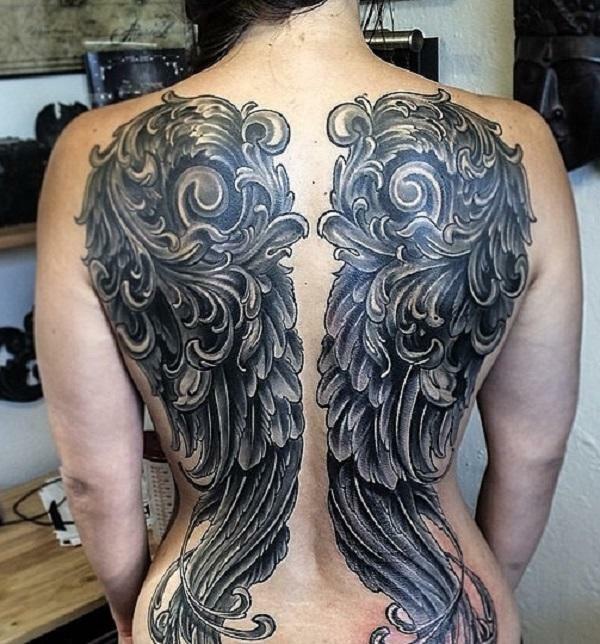 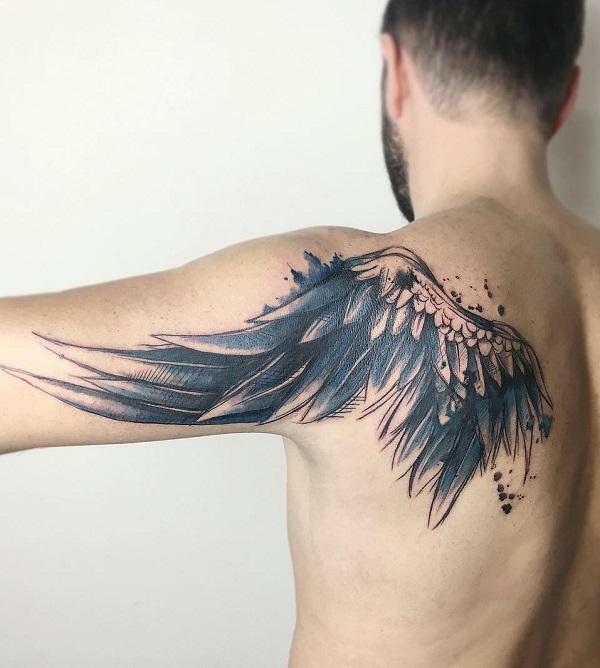 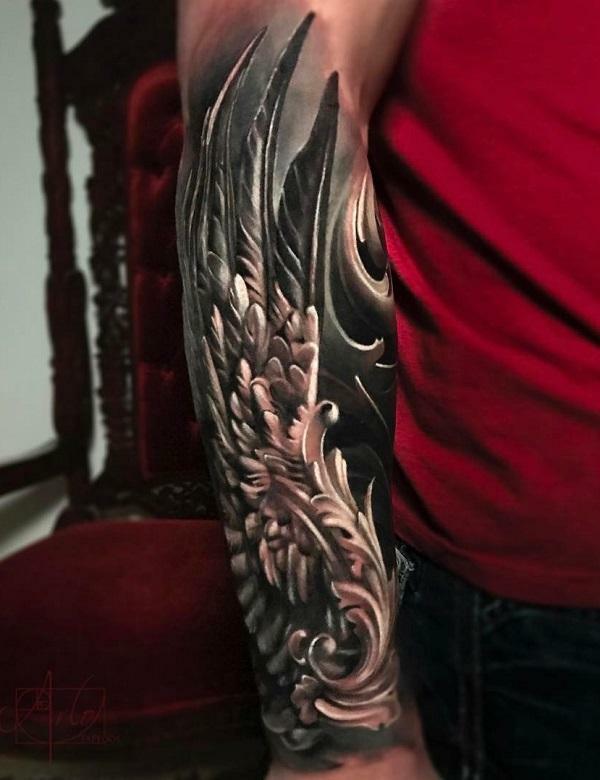 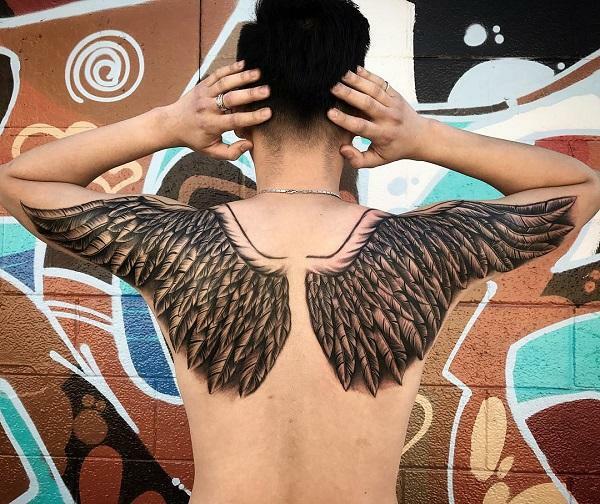 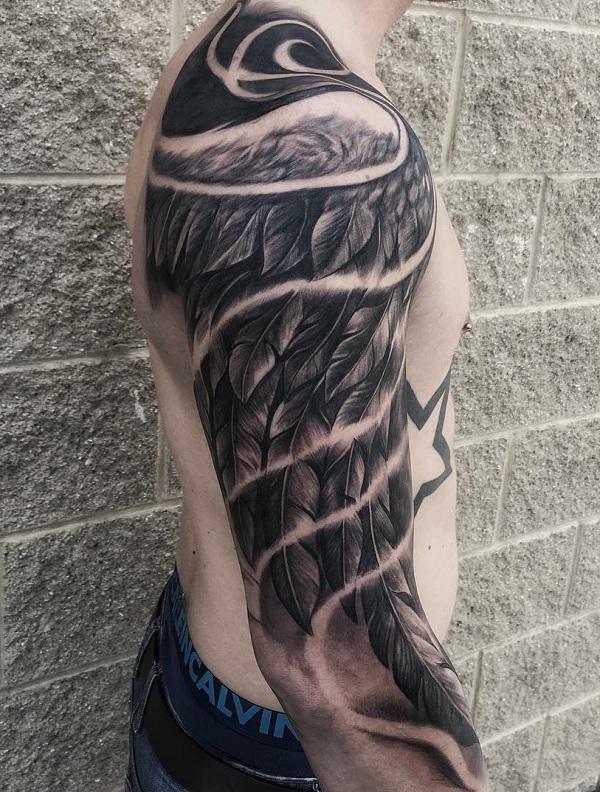 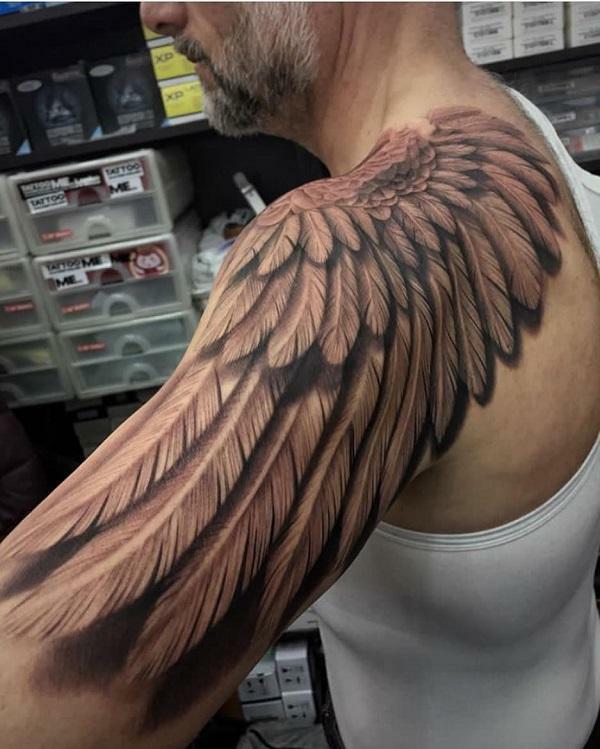 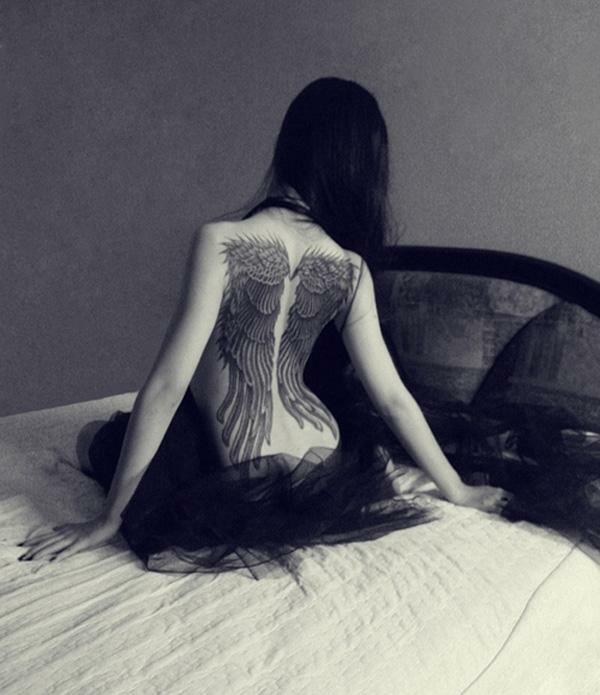 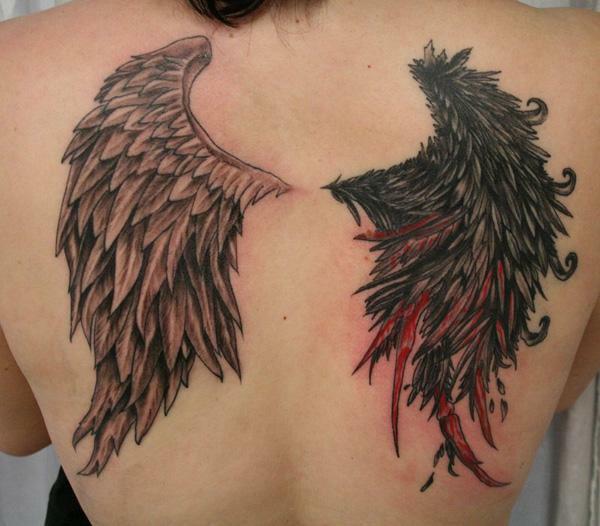 Most wings tattoos are beautiful large wings inked on the back. 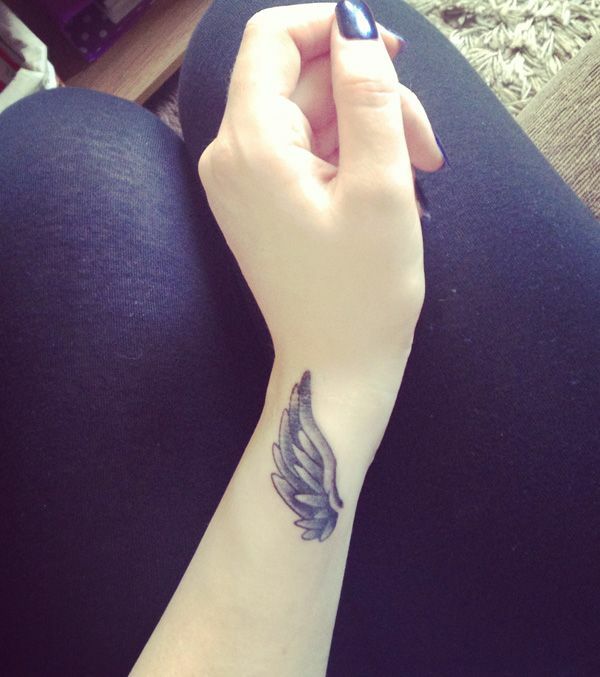 Some people love smaller ones inked one the wrist, ears, which look cute and cool. 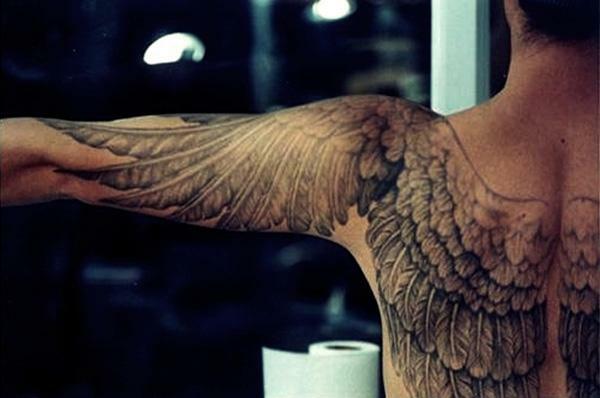 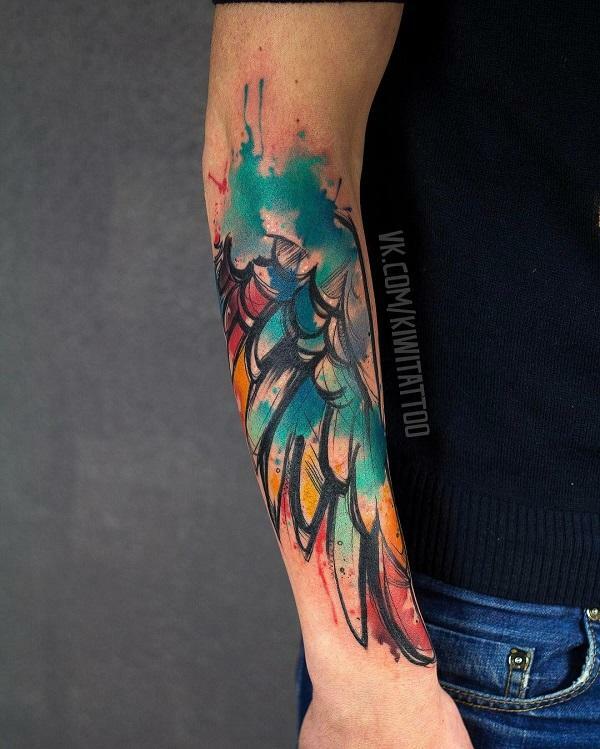 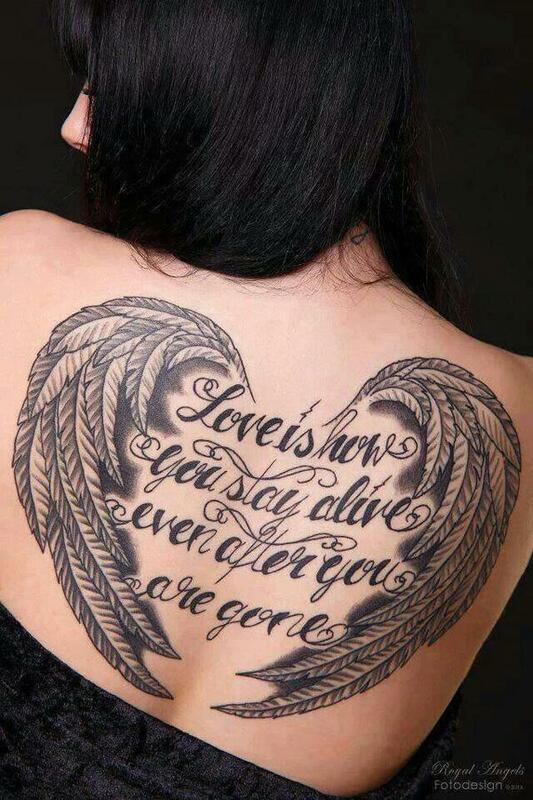 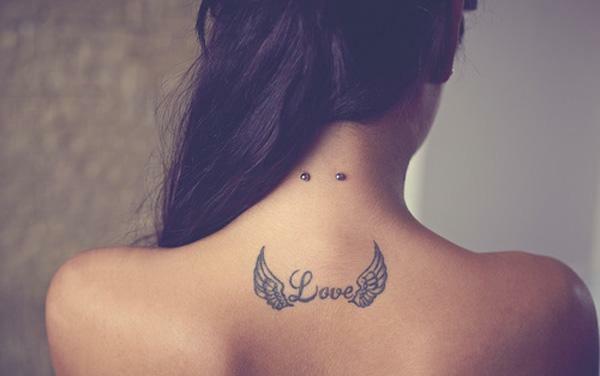 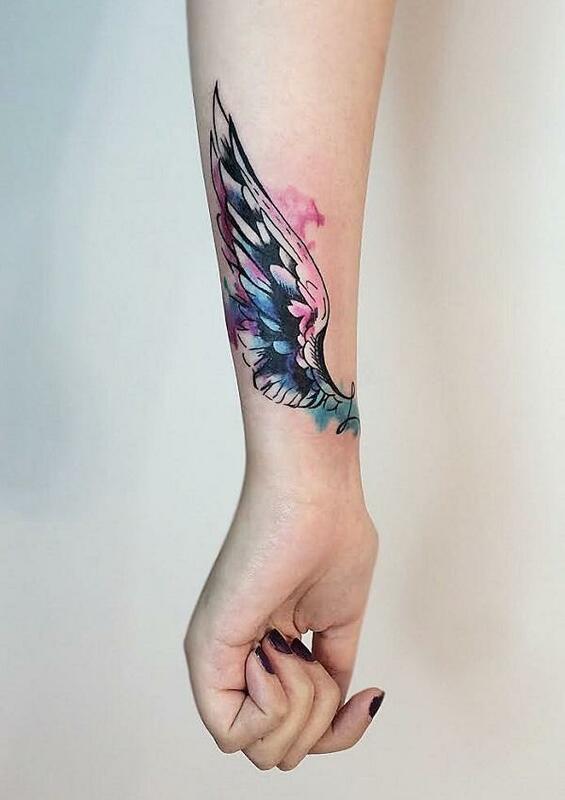 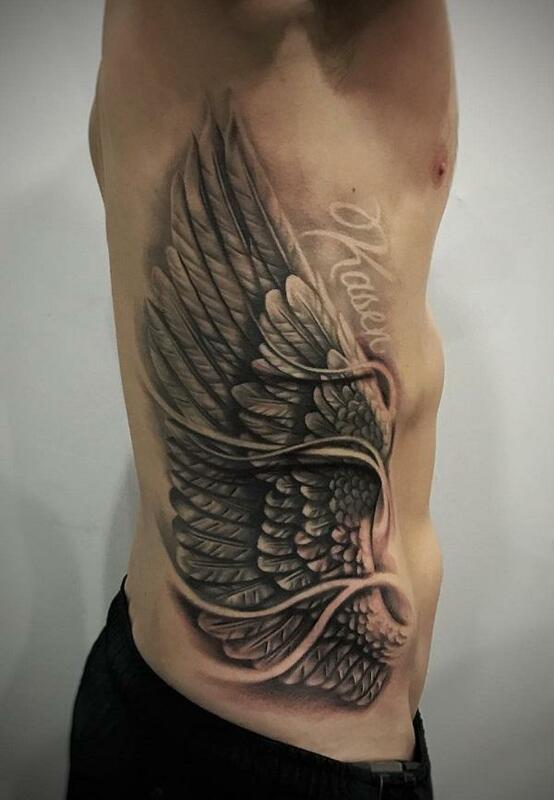 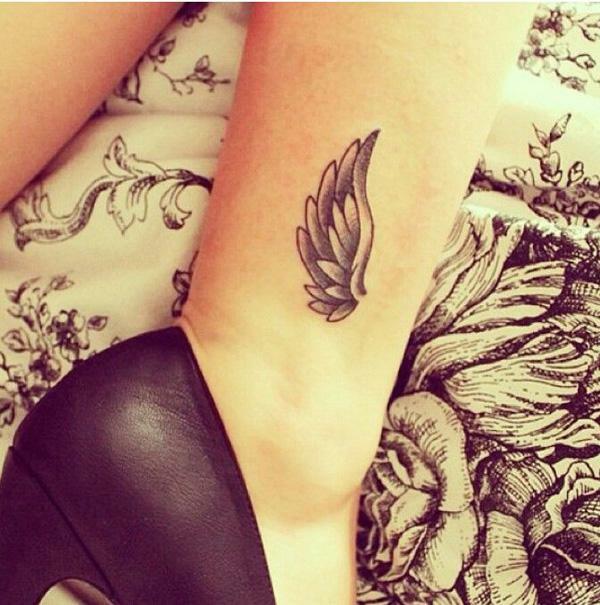 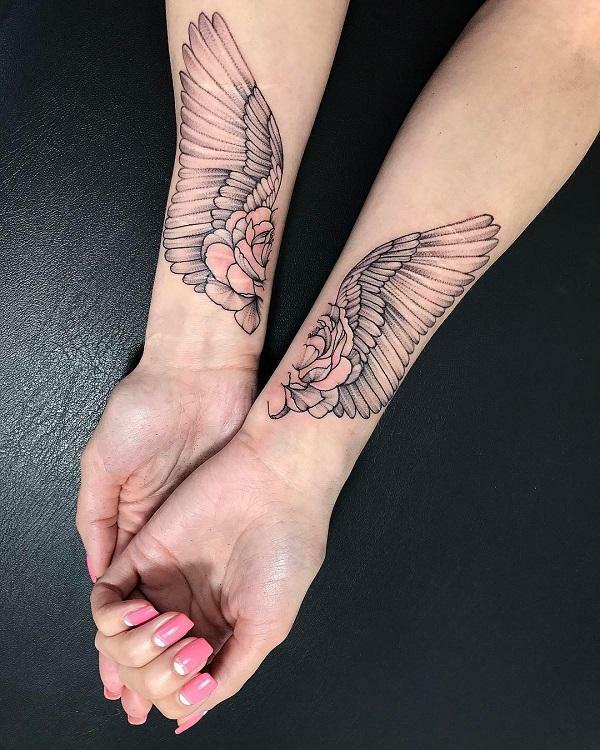 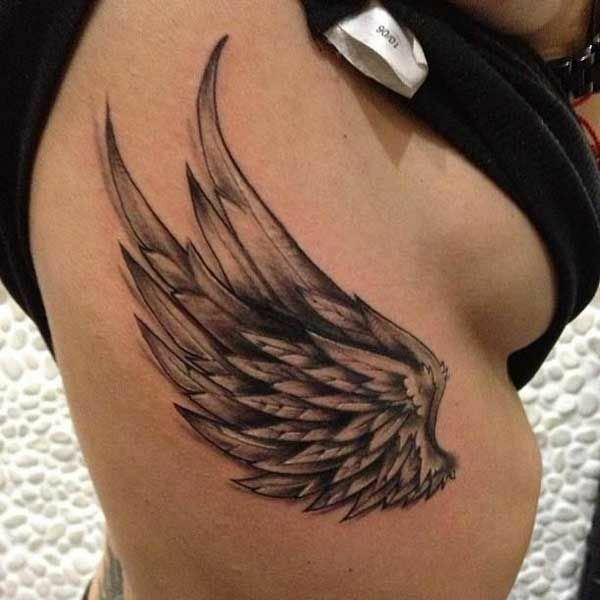 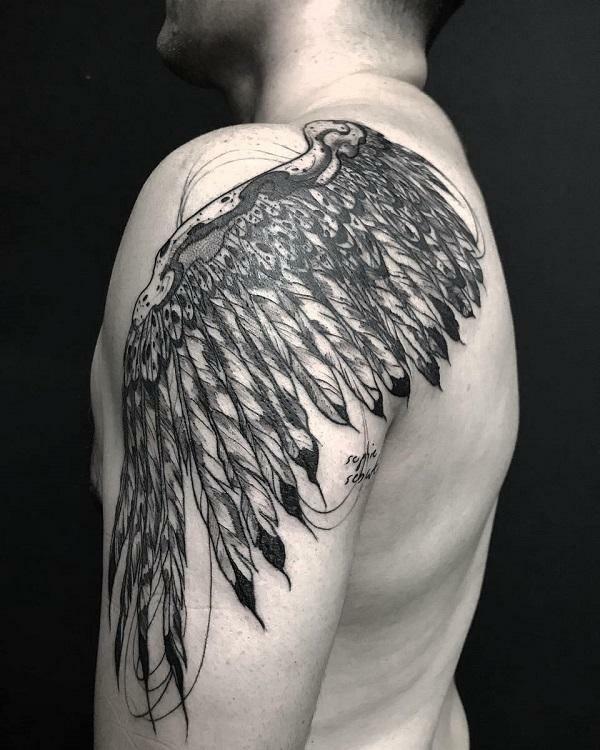 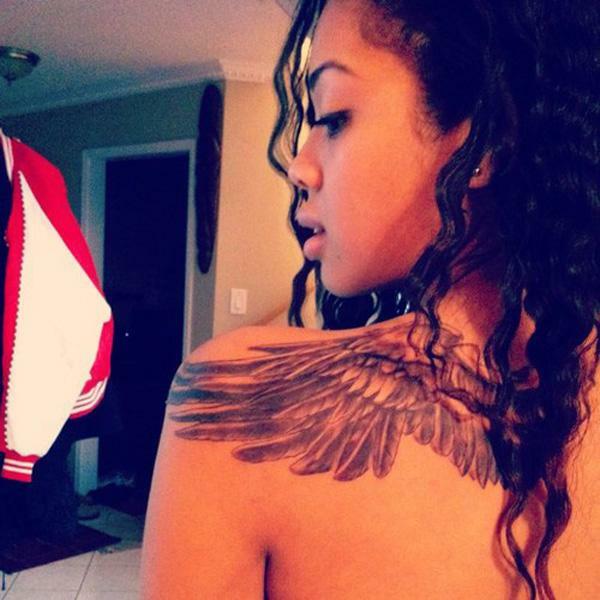 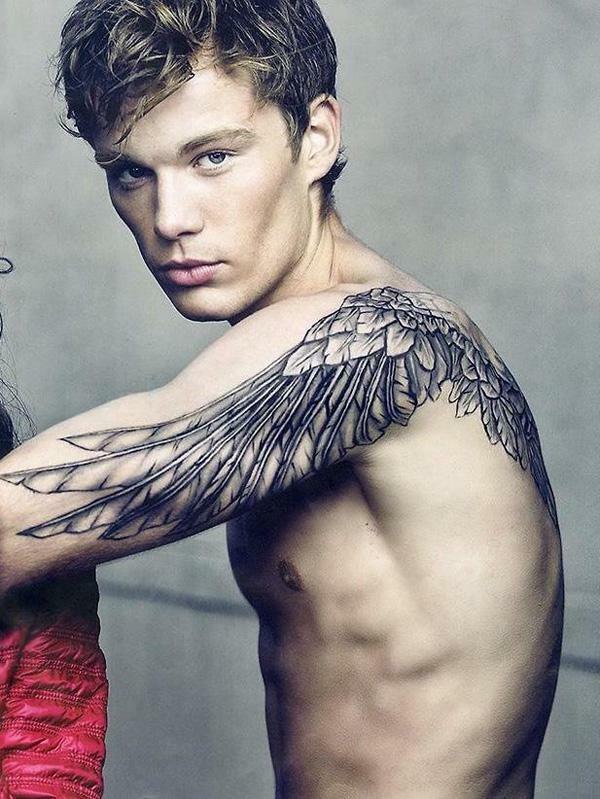 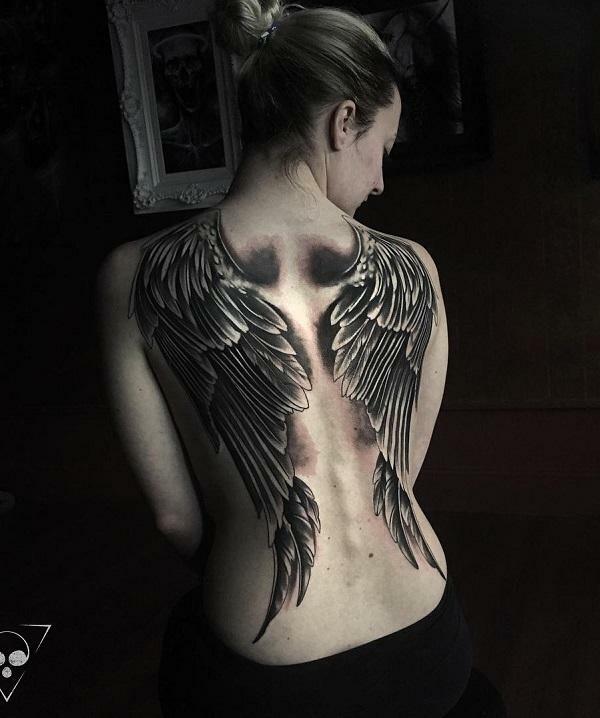 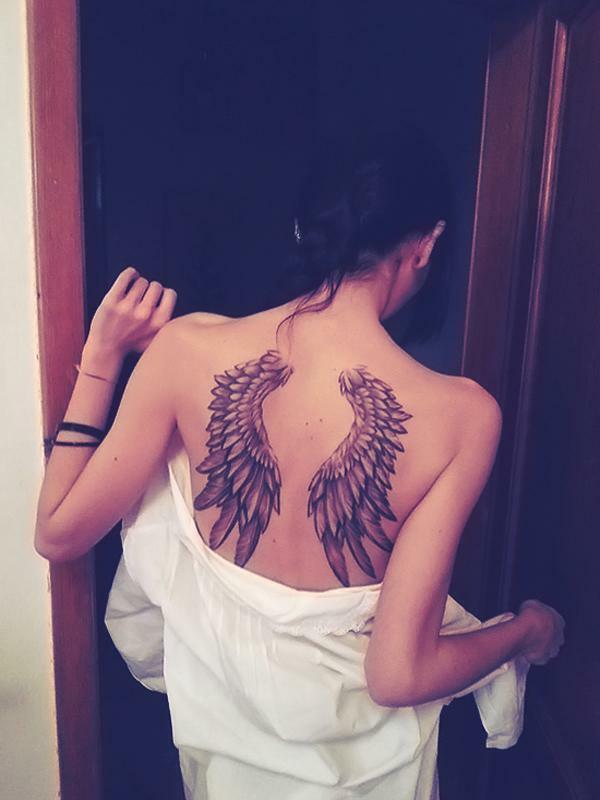 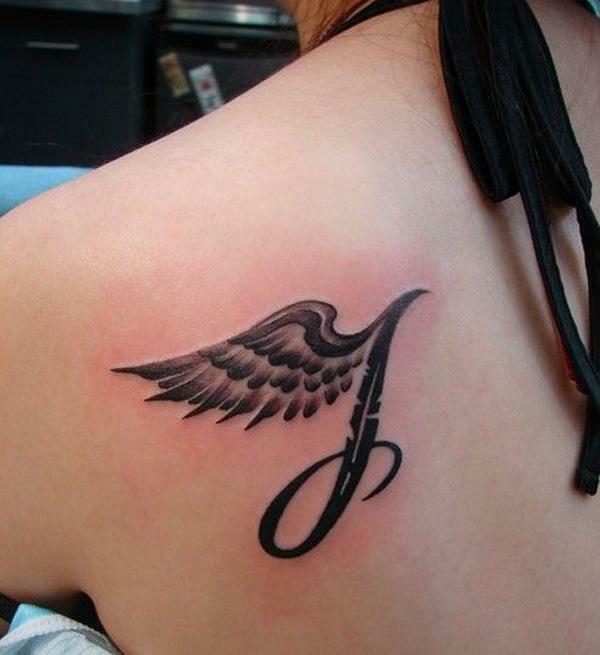 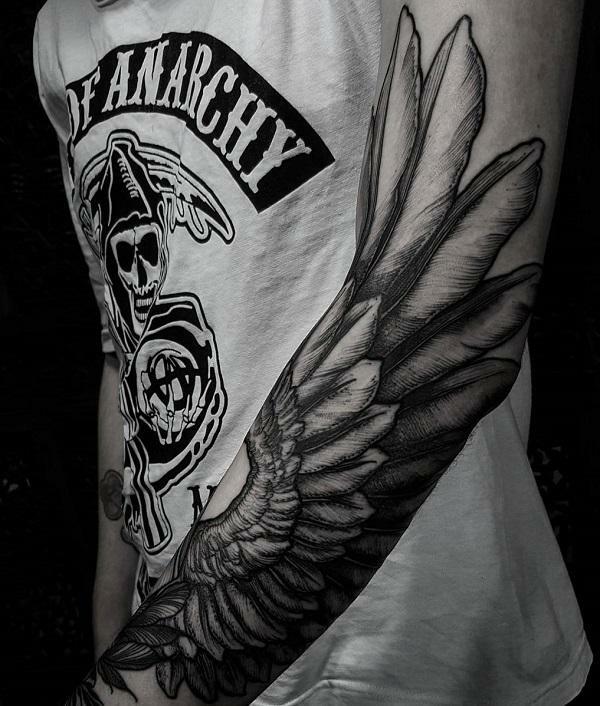 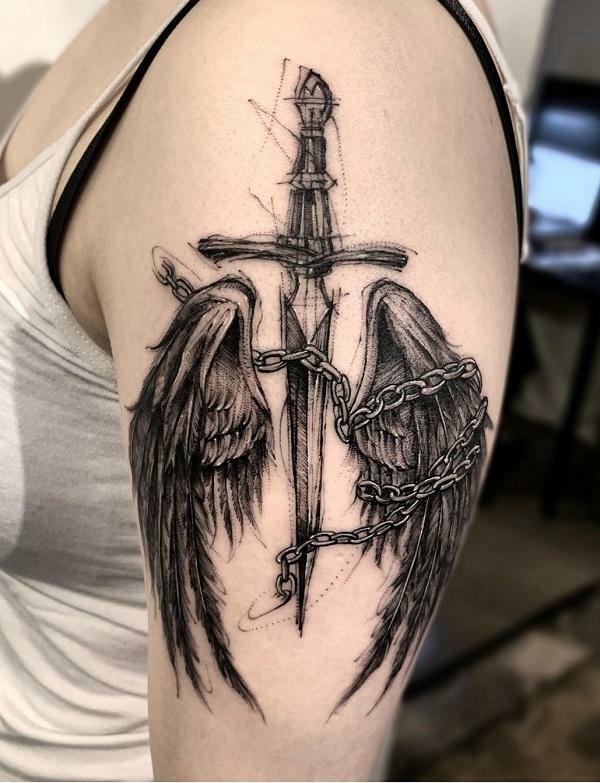 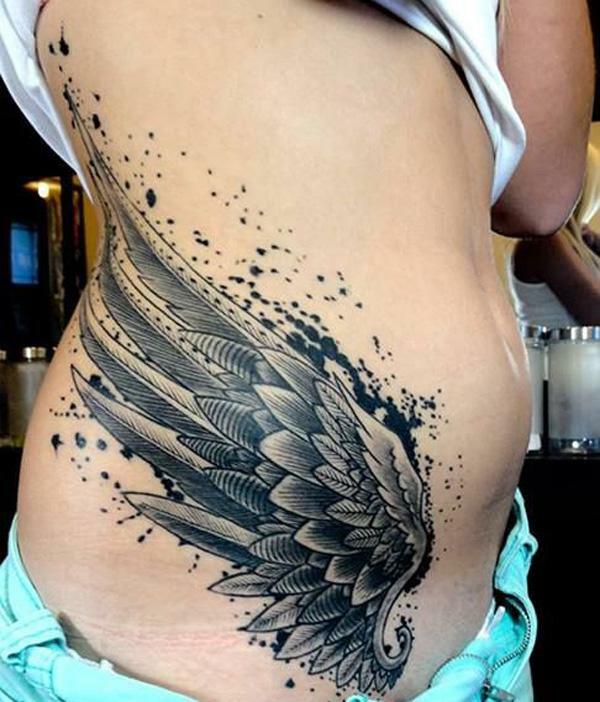 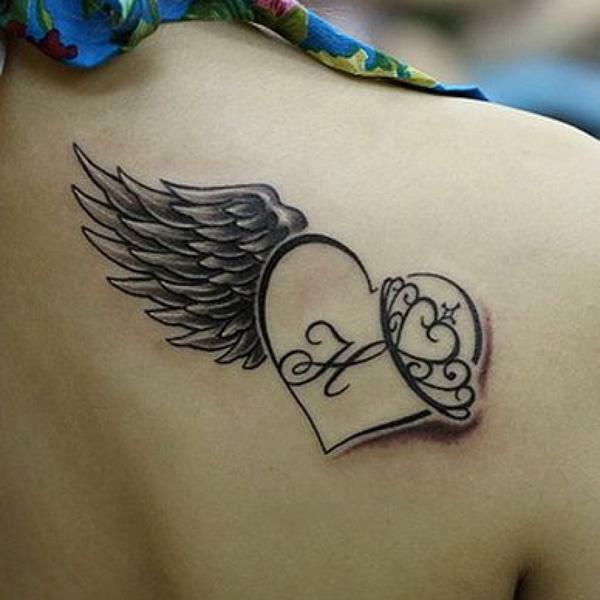 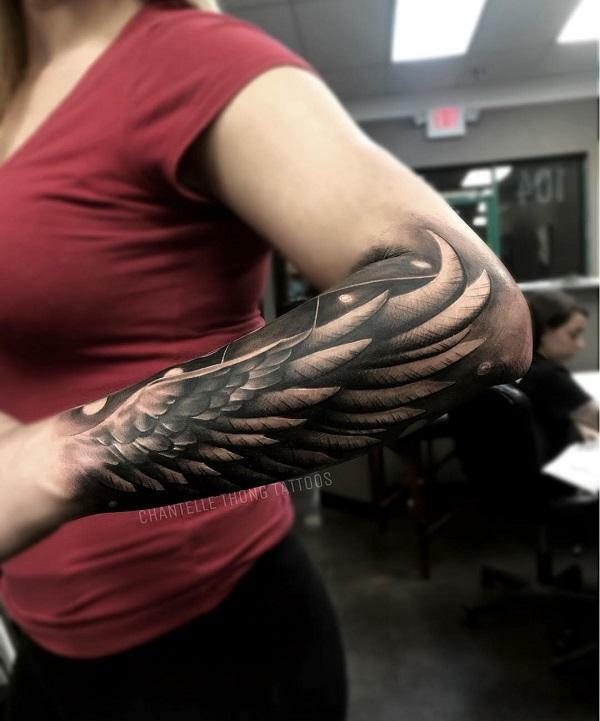 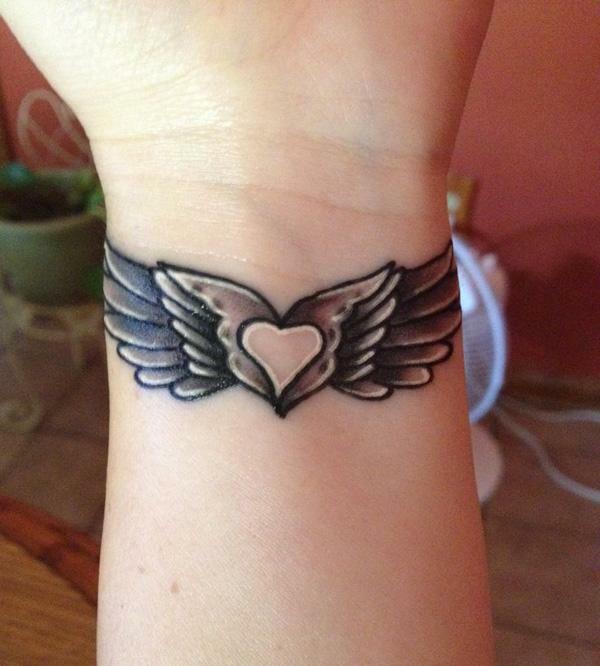 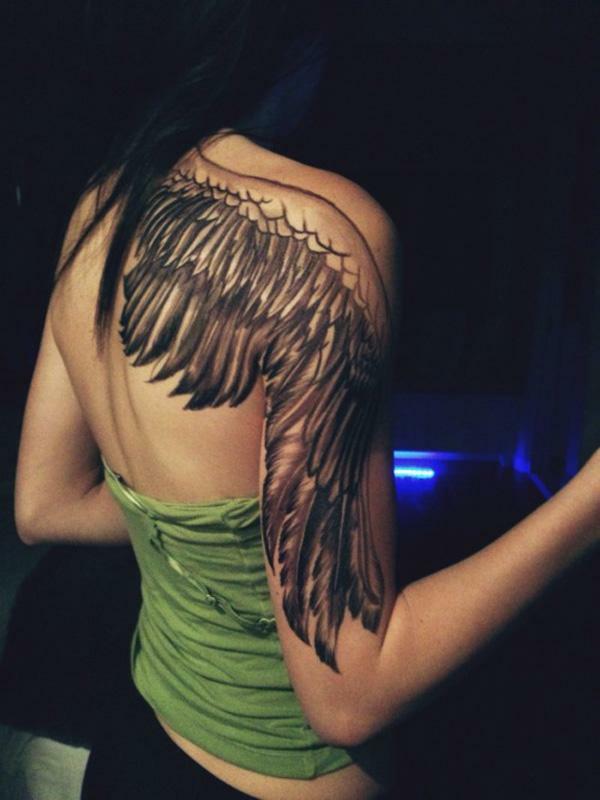 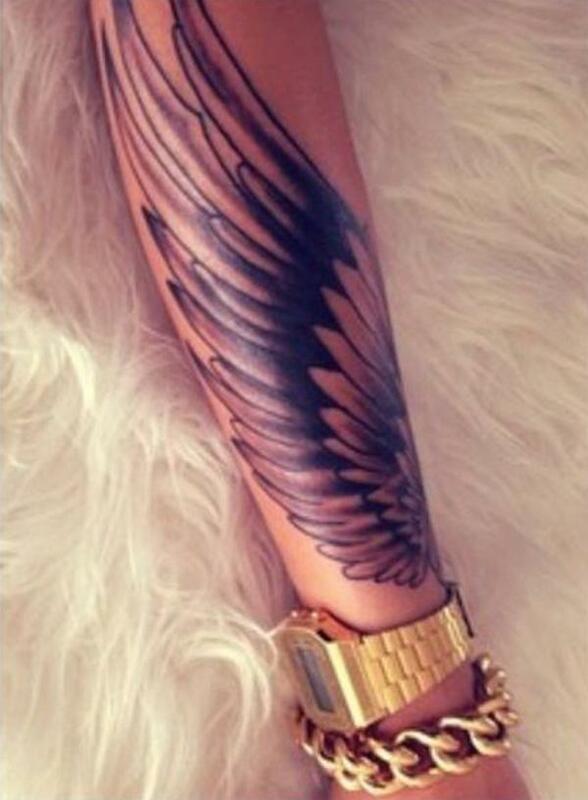 Here is the collection of the best breathtaking wings tattoo designs for your inspiration. 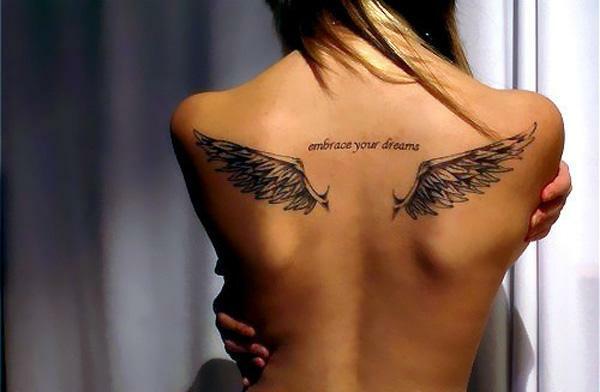 Of course, you will not be able to fly with the wings. 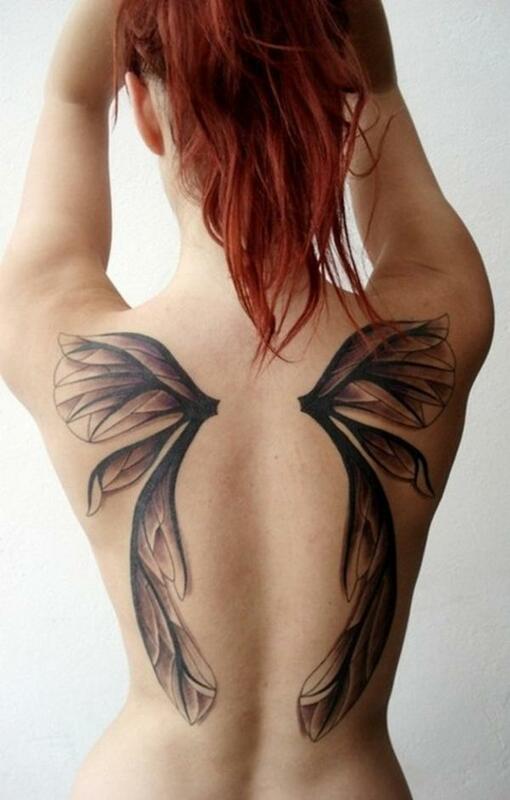 Should they lift a human, the size of the wings could be 6 meters long. 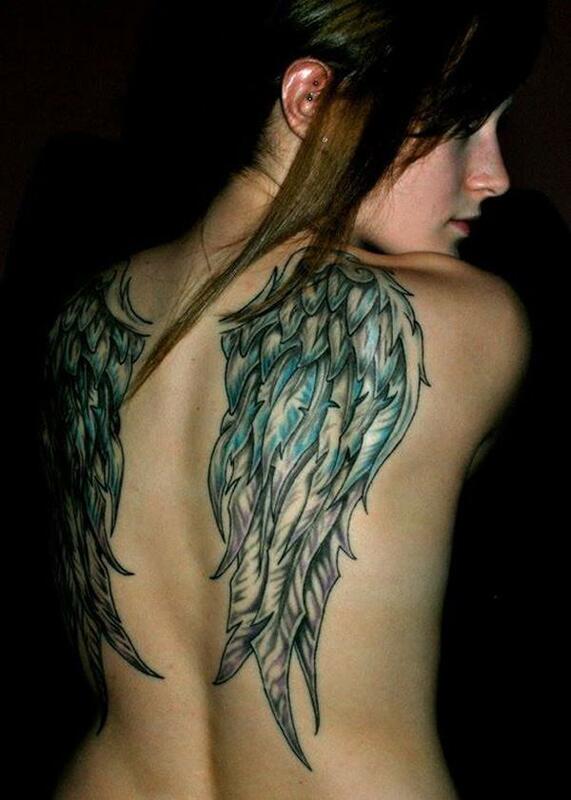 I love wing tattoos. 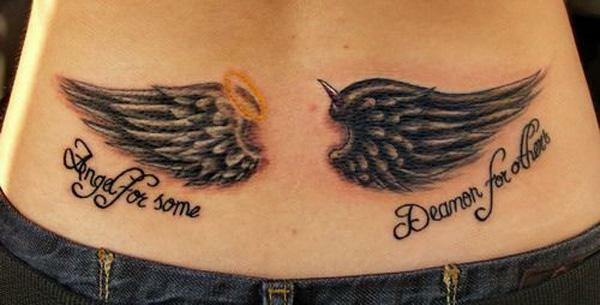 :) These look so good, I really want to have one too.